Yesterday I logged into a webinar run by the instrument manufacturer, TSI, on “Exposure to Ultrafine Particles- Indoor, Outdoor and In-Vehicle Concentrations: Sources, and Particle Dynamics”, presented by Dr Lance Wallace a leading researcher in the measurement of ultrafine particles. The potential risks to health from sub-micron ultrafine particles has been a high profile occupational health issue for a number of years due to the increasing use of “engineered” nanoparticles (over 1000 consumer products already contain them). The risks aren’t properly understood and their measurement presents a number of difficulties. The normal method for assessing the risk from airborne particulates involves determining their mass concentration. However, with nanoparticles it’s their surface area of nanoparticles which affects their toxicological properties so a different approach is needed. Another problem is that sub-micron ultra-fine particles are generated by natural and other sources, so results are confused by the background concentration of nanoparticles from natural and other sources making interpretation difficult. The webinar concentrated on environmental concentrations, rather than occupational exposures, and was based on studies carried out in the USA by the Environmental Protection Agency (EPA), the National Institute of Standards and Testing (NIST) and Stanford University, and a major study undertaken by Health Canada. Major outdoor sources of ultrafine particles are traffic emissions and atmospheric processes leading to “nucleation bursts” (atmospheric reactions involving sulphuric acid, ammonia, and water vapour). Of these, the main contributor to indoor concentrations (other than smoking) was cooking. I was surprised that electric cookers generated ultrafines. This is due to metal vapourising from the cooking element and then condensing. Ultrafines are generated by electric motors by vapourisation of carbon and metal from the brushes. Given the wide use of electric motors in industry this is likely to be a significant background source in the workplace. Particles from outdoors also infiltrate into buildings, the proportion entering depends on a number of factors including particle size, building design, air change rate and occupant behaviour (e.g. opening windows and doors). 90% of the particles detected in the studies were smaller than 10 nm. The particle size distribution changing over time due to settlement and coagulation (small particles “clumping” together). Results from studies reported in Wallace and Ott (2011) indicated that the median background (indoor) number concentration was 2,700 particles/cm3 (5th percentile 900 particles/cm3, 95th percentile 9000 particles/cm3). One interesting fact that came out of the talk was that relatively high numbers of ultrafine particles can be found in restaurants (see chart below). These are generated due to cooking in the kitchen. The measurements were taken in the dining rooms so the levels in the kitchens, to which the restaurant staff would be exposed, would probably be higher. Also, diners would only be exposed to a couple of hours on occasions whereas restaurant employees would be exposed for considerably longer periods on a regular basis. Workers in restaurants are likely to be exposed to ultrafine particles generated in kitchens. It’s difficult to say whether the risks are significant and, perhaps, it is something worth investigating – if funding was available. These were a couple of phrases from Rosemary Gibson’s presentation during the nanotechnology workshop during the recent BOHS Conference. 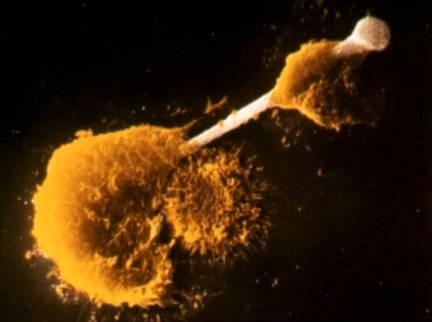 This results in the release of chemicals that cause damage to the lung tissue leading to inflammation and, subsequently, to other damage, including the deposition of scar tissue (fibrosis). Potentially any fibre which is thin enough to travel down to the alveoli and too long for the phagocyles to deal with it effectively could cause this to occur. However, fibres that are biosoluble break down and can be cleared from the lung before significant damage can occur. So some materials, such as glass fibre, are deliberately formulated to dissolve in the body. Other, more resilient, fibres such as asbestos, remain in the lung long enough to allow the process to occur. There’s a good summary of the fibre paradigm in an open access paper by Donaldson et al. published in the journal Particle and Fibre Technology last year, which is available on the web here. In her Keynote address to the 2011 BOHS Conference, the Chair of the HSE, Judith Hackitt, mentioned nanotechnology as one of the “emerging issues” that HSE will continue to give priority to despite the cutbacks in its budget. Nanotechnology has been a high profile issue for HSE for a number of years as the production of “engineered” nanoparticles has increased. Their toxicology isn’t fully understood and measurement presents a number of problems, so it is difficult to properly evaluate the risks to health. At last year’s conference, a plenary session was devoted to nanotechnology and this year it was the theme for one of the workshops. It was a good session, with three speakers covering health effects, assessment and control. However, the content of their talks was very similar to those given during the plenary sessions last year, suggesting that there haven’t been any major advances in the science over the past 12 months. Nanoparticles have a very large surface area to volume ratio and this has implications for their effects on health. Some researchers have identified a relationship between surface area and inflammation and this suggests that surface area is the best metric to use to assess the risk, rather than mass concentration (which is normally used with particulates). Research has mainly focused on their effects on the respiratory system with some work on skin effects. Less work has been carried out on systemic effects. However, the main concern identified from experience with ultrafine particulate air pollutants (from non-engineered sources such as diesel exhaust emissions) is effects on the cardiovascular system, and some research has suggested that this is also relevant with engineered particles, so more work is needed on this aspect. There are continuing concerns about the effects of carbon nanotubes and whether these fine, fibre like particles may behave like asbestos. Work by Poland et al, the results of which were published n 2008, certainly suggest that this may be the case with long multiwalled carbon nanotubes, where there was evidence of inflammation and granulomas. 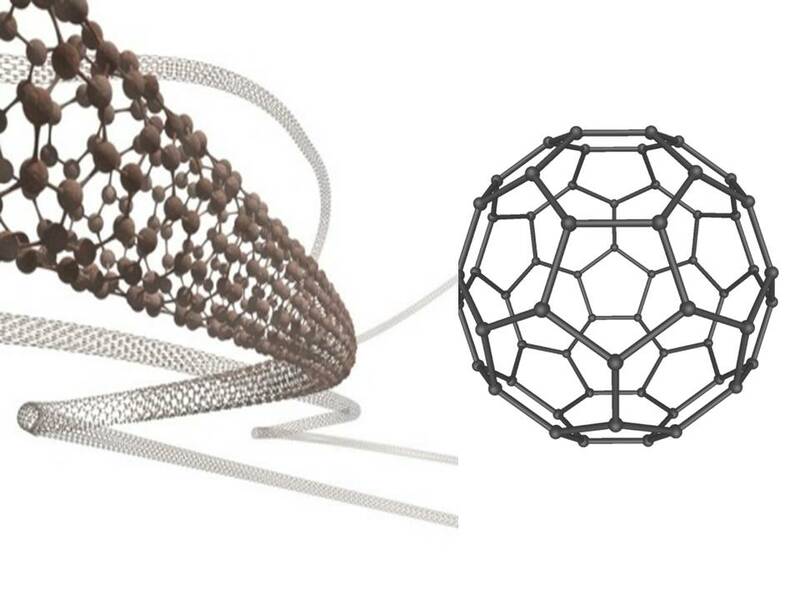 However their research also suggested that short multiwalled carbon nanotubes were non-harmful. (For further details, see the commentary by Ken Donnaldson, here). The other two speakers, James Wheeler of the HSE and John Hulme of Cambridge University (who gave a Keynote on Nanoparticles at last year’s conference) both concentrated on practical implications in the workplace. John, who has considerable experience of managing the risks from nanoparticles in research laboratories at Cambridge University, concentrated on the practical assessment and control of the risks. He pointed out that the hazard information provided by some suppliers of nano-materials was inadequate, treating them as if they were no different from macro forms of the substance when there were clear differences in toxicology. He re-emphasised one of the points Rosemary made about the importance of surface area and discussed the practical difficulties of measurement. Methods are available to measure particles on the basis of their surface area, but as these techniques can’t identify what the particles are it isn’t possible to tell where they have originated. There can be high background levels of fine particles from natural and man-made sources, which confuse the results from any surveys. So the problem with nanoparticles is that we aren’t sure of the hazards and can’t properly quantify the risk! I’ve allocated this week for catching up on reports, but I’ve also spent a bit of time reading through the notes I made at BOHS Conference in Harrogate a few weeks ago. One of the sessions I attended was devoted to nanotechnology. This is a fast developing area, although as it is generally still very much in the R & D phase, I guess most occupational hygienists haven’t had much involvement with it yet – I certainly haven’t – but as we’re likely to see more production processes coming on line in the not too distant future its important to keep abreast of developments. Rachel Smith and Colin Webb of the Health Protection Agency presented a practical case study on the introductions of exposure controls for nanoparticles during the design and commissioning of a new research facility. They talked about some of the difficulties involved in deciding on controls when the hazards and risks are not fully understood and described the very comprehensive measures that were introduced. I came across the following video slideshow by Andrew Maynard (2020science.org), a researcher in nanotechnology. It’s a nice, gentle introduction to nanoparticles and their properties. 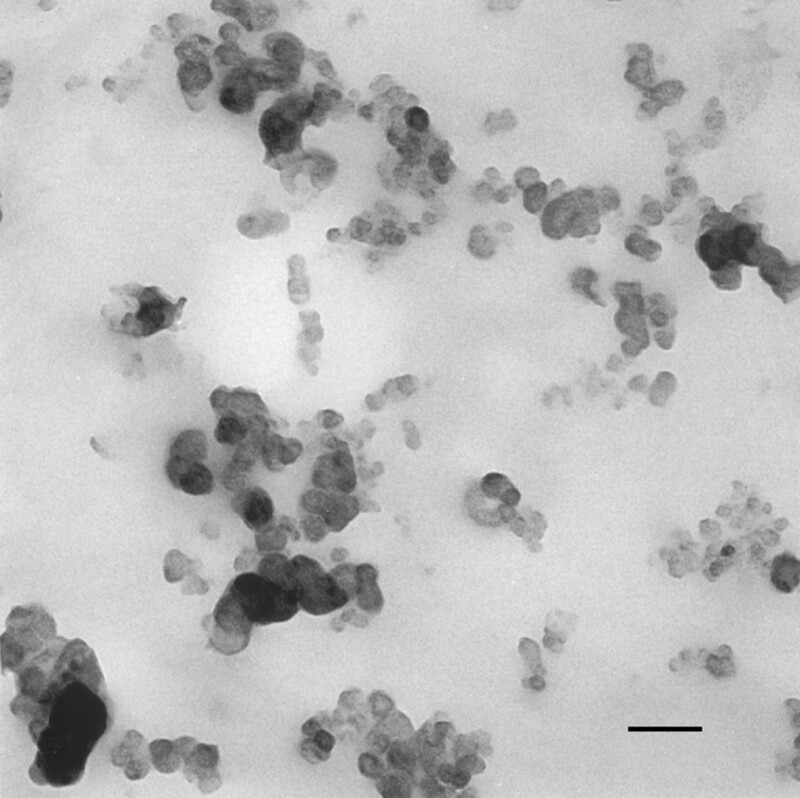 There are inevitable concerns about the toxicity of nanoparticles and the risks from exposure, both from an occupational and environmental context. * nanoparticles are much more likely to be absorbed into the blood via the lungs than their larger cousins. Once absorbed they can make their to other organs where they may be able to exert toxic effects. It is too early to now whether any of these concerns will be borne out in practice. However, it’s an area where a lot of research is taking place.